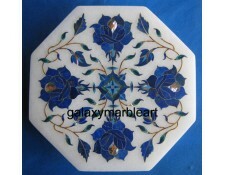 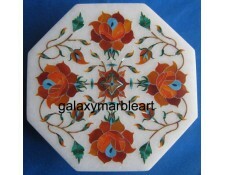 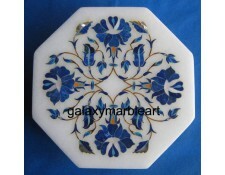 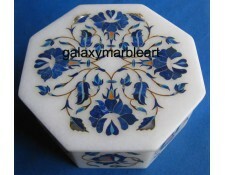 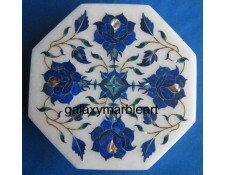 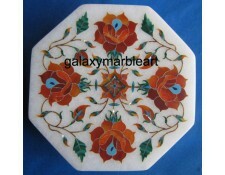 These marble inlay boxes have the same work which is done on the Taj Mahal and like all boxes are made in one piece of makrana marble with the lid made of separate piece. The design in some boxes is made only on the top wheras some boxes have work on the sides as well. 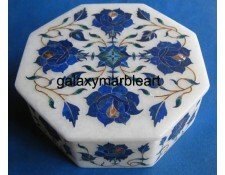 These boxes are made in different designs and one design can be made in different color combination on order.We make design according to the order.